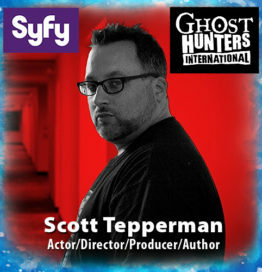 Scott Tepperman starred in Syfy Channel’s Ghost Hunters International, the popular spinoff to the most successful paranormal reality show of all time. During his spirited stint on GHI, Scott stalked the dark hallways, dirty basements, treacherous tunnels and creepy attics of countless haunted locations around the world! Transitioning into film, Scott is quickly becoming a familiar name in the independent horror film scene, having appeared in such films as Night of the Living Dead: Genesis, Don’t Look in the Basement 2, The Hospital, The Hospital 2, Camp Massacre, Hybrid, and many others. He has recently wrapped I Dared You! Truth or Dare 5, which he is both starring in and co-directing with legendary cult filmmaker Tim Ritter (Truth or Dare? A Critical Madness). 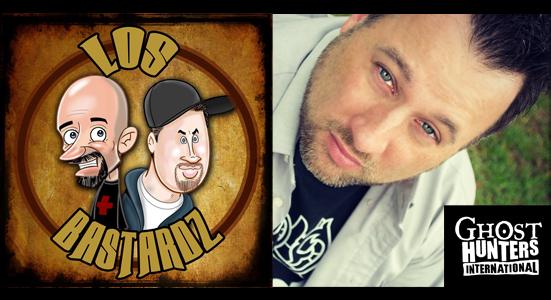 Scott is also the co-owner/co-founder of Los Bastardz Productions, an independent film production company operated with his friend and collaborator, Jim O’Rear. Their first official joint project is the upcoming ‘80s-style cop thriller Nightblade, which stars Jim and Scott, along with fan favorites Robert LaSardo (Nip/Tuck), Betsy Rue (My Bloody Valentine 3D) and familiar 80’s big brother, Todd Bridges (Diff’rent Strokes). Off camera, Scott is the author of two successful books, Paradise Found: My Complete Paranormal Journey and Overlooked & Underrated: 100 Fantastic Forgotten Films of Horror. Additionally, Scott is working on an unofficial companion book to his favorite movie of all-time, Near Dark.